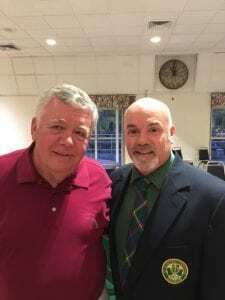 Holyoke, Massachusetts – September 28, 2017 – Last night, the St. Patrick’s Committee of Holyoke announced that its 67th Grand Marshal is David “Archie” Donoghue of Holyoke. The Grand Marshal is the highest local honor given to a person who has distinguished themselves as a loyal person to their career, their family, and to their Irish ancestry. 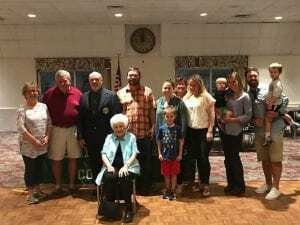 David has been a Parade Committee member for 41 years and as he said last night upon receiving this prestigious honor, the Parade and its history is “a family affair” as four generations of his family have been associated with the Parade. His maternal grandfather, Daniel Driscoll, was a Founding Father of the Holyoke St. Patrick’s Parade and his father, Roger Donoghue has been a member for over 50 years and recently served as the Parade’s 2014 Grand Marshal. David’s son, Brian, is also a Committee member and serves as Race Director for the popular St. Patrick’s Road Race. Not only was David the 1988 Parade President, but he has also been recognized for his time and talents as the 1985 Rohan Award winner for his contributions to the overall success of the Parade, and as the 1997 O’Connell Award winner for his significant fundraising efforts. Archie’s talents can also be seen behind the podium as he is one of the Committee’s most popular emcees! 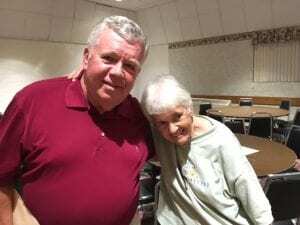 David and his wife, Clare (Reynolds) have been married for 41 years and live in Holyoke. They are the proud parents to Daniel, Brian and Moira and grandparents to Jack, Colin and Noah Donoghue. The 67th St. Patrick’s Parade will be held on Sunday, March 18, 2018 and the 43rd St. Patrick’s Road Race will be held on Saturday March 17, 2018.